system, you can count on BUTHTTP unique handmade hosting solution. Hosting for your phpOnline website that just works. Servers optimized to give you the best phpOnline experience possible. We’ll even install phpOnline for you! 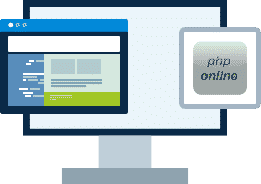 We’ll move the phpOnline site for you! Softaculous auto-installer – Install phpOnline in just a few clicks. GD support – Needed for many phpOnline plugins. Zend and Ioncube support – Needed for some phpOnline plugins. phpOnline is a live customer support system using PHP+MySQL+Flash to operate. A working copy of this script can be found here at our site. 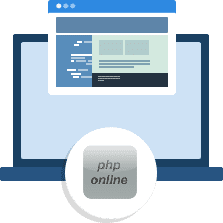 phpOnline is a FREE to use script under public GNU license and you may change, customize and use it as much as you want, but you can’t remove or change the “COPYRIGHT” statements and link to “https://phponline.dayanahost.com” or “https://www.phponline.ca”. If you wish to remove the link and copyright statement please obtain a license.